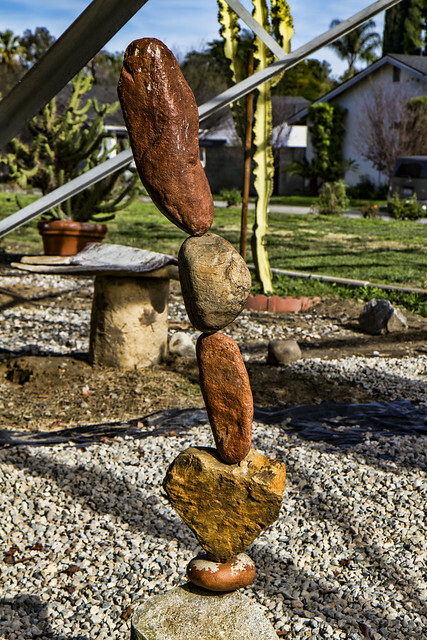 These rock statues are creatively placed under a section of power poles in west Downey. 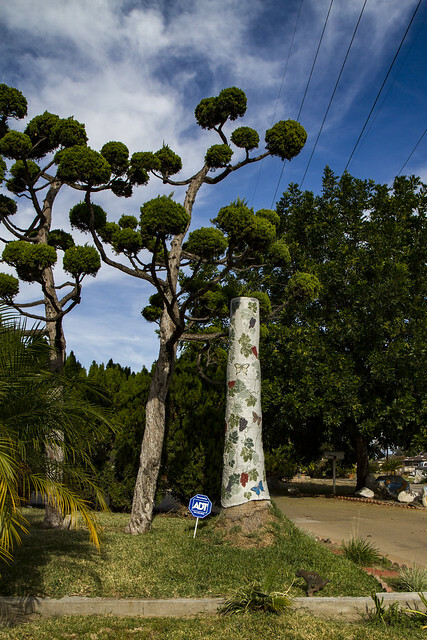 Clearly one of the homeowners on the border of the power easement has a desire to add beauty to this area. 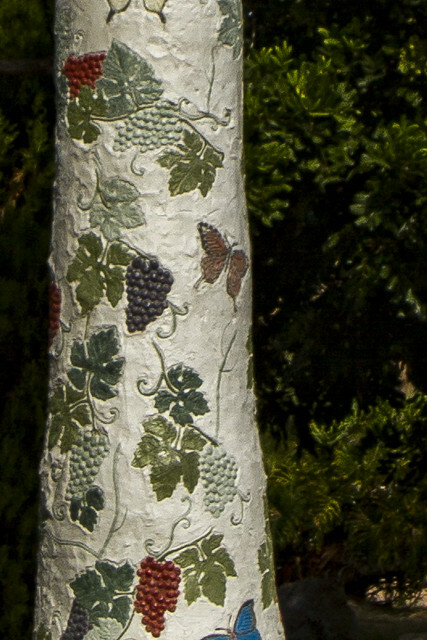 Even this lifeless tree trunk has taken on a new life with the artistic coating.